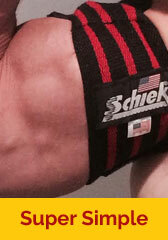 "The First Time I Used This I Freaked Out — I Watched My Biceps Pump Up Like Popeye's Forearms On A Six Pack Of Spinach!" I packed a legit inch onto my upper arms in just 4 weeks. And my arm strength just kept climbing. Yet the thing I like most is that I can add this quick protocol to the end of ANY other workout program I'm using so I can keep growing my arms even if I'm working on some other goal at the same time. The protocol I figured out is based on the science of managing blood flow. I'll tell you exactly how it works and why it's so effective in a minute. These massive gains are achieved with next to no weight so you can safely add this to your routine even if you're injured or you already have a high workload in your regular training program. 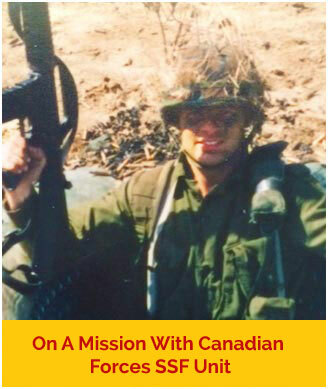 I kept running across these stories of injured soldiers who were back to their units ASAP. And they always seemed to be coming back stronger and bigger than they were before getting hurt. Fast forward to the present. And I happen to team up with a new training partner. 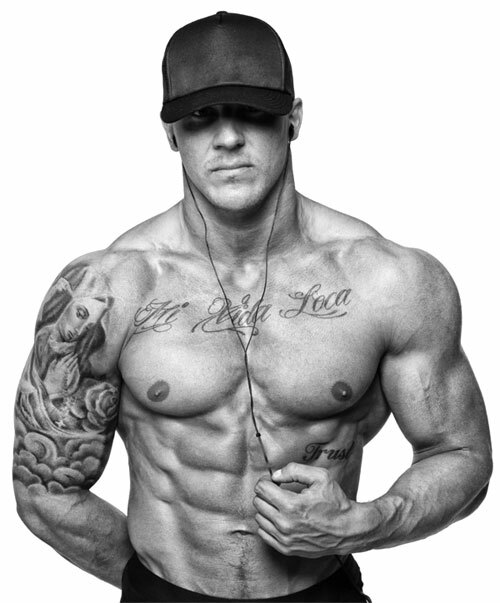 He's finishing up his Ph.D. and he's a national level strength and conditioning coach for Olympic athletes. He starts talking about this weird "rehab" method he stumbled on. And how it has been adapted to use even with healthy athletes. And he can't believe how much size and strength they are packing on! First of all. On the low end you'll experience at least a 30% boost in muscle growth on your arms and your legs. That's already pretty awesome. Yet if you're in the hyper responders you'll enjoy gains up to 300% faster than normal. I've found most guys fall somewhere in between. A lot of the magic seems to be due to increases in your male hormone levels. One 2014 study in the International Journal of Sports Physiology and Performance showed a greater release of exercise-induced salivary testosterone using this method. According to a 2000 study published in the American Journal of Applied Physiology, these massive GH increases are not associated with the serious tissue damage you'd usually experience to get the same boost with conventional exercise. This Is Better Than Male Hormone Injections! 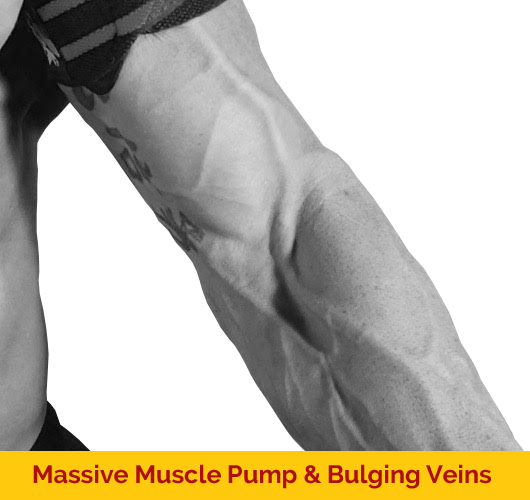 You'll walk out of the gym with the biggest pump you've ever felt... and enjoy a fuller and more vascular look for up to 24 and even 36 hours. As you continue to use the System you'll soon find you don't even need to "pump up" your arms to look and feel big and powerful because your extra size makes it like you're walking around with a constant pump. T-shirts that used to flap around your upper arms will start hugging them tight. And you'll notice a subtle shift in your confidence as you realize other guys are glancing at your guns with respect and recognition. Heck, you may even realize how women are subconsciously more drawn to you without them even knowing why. That's my guarantee to you. That's what I want for you. 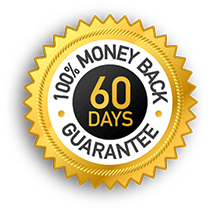 And if you don't feel like Anabolic Finishers delivers on the promise, then by all means just email me and I'll be glad to refund every penny. In fact I'm happy for you to try it out for a full 60 days before you decide. "How Many Inches Have You Added To Your Upper Arms In The Last 6 Months?" You won't like this... yet that's exactly how much you'll add to your arms in the NEXT 6 months if you keep doing what you're doing now. Even though you know deep down you're as good as those guys you'll subconsciously place yourself below them on the "totem pole" of male status. Yet worst of all... you risk working out too hard, too long and just plain wrong in a hopeless ditch effort to pack some size onto your upper arms. And the most likely result is injuries and even muscle damage. I know that's not what you desire for yourself. And it's definitely not what I want for you which is why I organized this system into an easy to follow protocol. Remember it's the same protocol that will allow you to pack on at least an inch to your arms in 2 to 4 weeks from now. It's the System that will give you a pump that will cause other guys at the gym to stare in open jealousy. And all the while, as you watch your arms swell like a balloon you'll know that you're pumping massive growth inducing metabolites into your muscles. 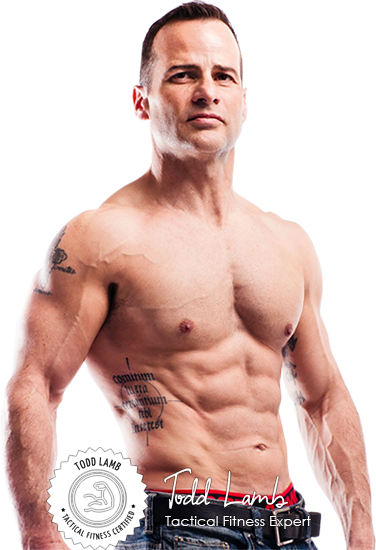 I'm willing to let you have the Anabolic Finishers system for a one-time, single, secure payment of only $10 — less than half the regular retail price of $29.95. You'll get the killer blueprint for Adding 16% size and strength to your chest.. That's MASSIVE. Guys… let's face it… Girls don't notice the color of your eyes on first glance. It's CHEST and ARMS and after that it's the V-Taper of your back. So this protocol has all the Pec Pumping workouts you will need that will add the perfect amount of size and shape to your chest and back in only 5 1/2 minutes with weights that are lighter than you are used to. This is perfect if you have ever dealt with injury or you like to take some time off. You will never lose your size or strength again! That’s right. 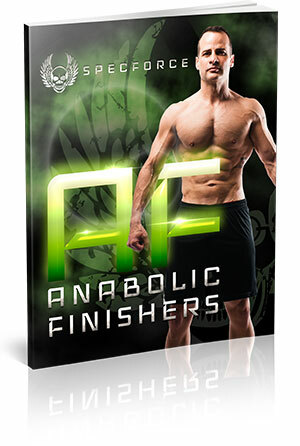 You’ll get the exact blueprint for using the same growth inducing principles from Anabolic Finishers to quickly and easily add inches of rock-hard muscle to your thighs in half the time. And you’ll do it without risking injury from a high volume of heavy squats. Which is perfect for guys in their 30s, 40s, 50s or beyond. Reach your full growth potential by simply following this sample meal plan designed to support your training plan so you put on muscle as quickly as humanly possible. I made this meal plan super easy to follow because if you’re anything like me you’re no Chef Boyardee in the kitchen. So rest assured this is all easy to make Man Food that will keep you satisfied and maximize your growth.